For the last 30 years, AXELOS’ IT Information Library (ITIL) has been recognised as the world’s leading best practice framework for IT management, used by millions of professionals globally. 2 years ago, AXELOS introduced a set of principles which they released with the highly rated ITIL Practioner exam. These 9 principles have now become a core part of ITIL 4. Designed to keep businesses on track, ITIL 4 now allows leaders to tailor parts of ITIL in line with what works best for their business. This focus on flexibility confirms AXELOS’ commitment to include Agile, Lean and DevOps concepts throughout the framework. The update focuses on aligning and integrating IT systems with the rest of the business to create further value. By embracing innovation, collaboration and being agile, ITIL 4 allows businesses to respond to changes, use new technologies and introduce improvements. The newly released ITIL 4 Foundation is suitable for anyone who requires a basic understanding of ITIL’s principles and practices. ITIL 4 certifications are aimed at IT professionals who want to learn ITIL framework and understand how it can be used to develop and progress IT service management. With ITIL 4, IT service management professionals will have a clear pathway to design new and relevant skills. How will it affect existing ITIL qualification holders? As documented on the AXELOS ITIL Update blog, all ITIL certifications gained before the update remain valid. Similarly with ITIL v3 exams, certifications and accreditation will continue to run through June 2020. ITIL v3 Foundation – Sit the ITIL 4 certification in order to transition into the new scheme. ITIL v3 Intermediate/Practitioner – Depending on where you are on your ITIL journey, collect v3 credits to prepare for an easy transition to ITIL 4 and gain the ITIL Managing Professional (in order to sit the ITIL Managing Professional you will need 17 credits). ITIL v3 Expert – A Managing Professional Transition module will be available later in 2019. 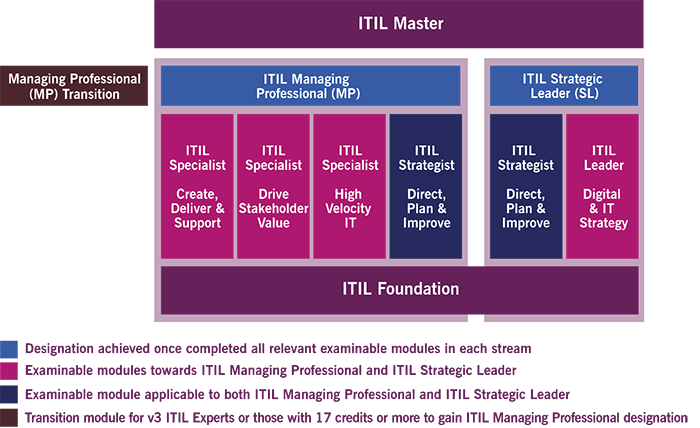 After taking the exam, individuals will be able to begin their journey towards becoming an ITIL Master. One noticeable change is that the ITIL Practitioner course and qualification is no longer available in the new pathway, presumably to allow more specialisation. The nature and scope of ITIL’s practices means that becoming certified can often be a major time commitment. If you’re looking to get certified fast, train with Firebrand. As an AXELOS Certified Partner, you’ll be training with the best. Firebrand benefit from expert instructors who are themselves ITIL consultants, working with IT service management on a daily basis. You’ll be immersed in Firebrand’s distraction-free environment and covered by your Certification Guarantee – pass first time or train again free. 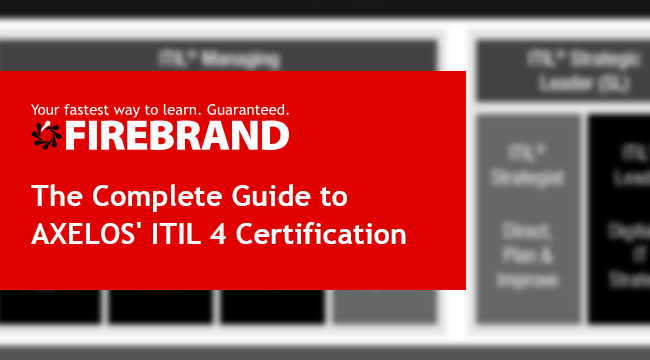 Interested in getting ITIL 4 certified? Want to start your ITIL journey? Get certified in twice the speed with Firebrand’s all-inclusive ITIL courses.